Wizard players, find the pot of gold along with some help from four-leaf clovers, mushrooms and traditional top hats in this Irish -themed game from Eyecon. With over 100 slot games to their name, Eyecom is establishing itself a name in the slot gaming industry. Founded in 1997 in Australia, they have recently been rising to the occasion with their slot games. They are proud to create games for anyone and everyone, so you can be sure there is a game out there that you will love. With increasingly popular games, they work hard to make sure they can keep up with popular demand and are always changing their infrastructure to meet these needs. Their most popular games include Fluffy Favourites and Temple of Isis, view our online slot games today. This is a 5-reel, 25 line slot game. Bets can be placed between £0.01 and £25.00. Get helpful tips from our guide as you look for the best UK online slots for you! The game is set amongst rolling green hills and woodland, and there is no doubt of the Irish theme behind the game. The graphics are bright and cartoonish, giving a feel of light-heartedness to the game. There is no background music as such but when you win, there is a jolly little fiddle jig. Symbols include the leprechaun hat and a pot of gold, along with traditional letters such as A, K and Q. The lower paying symbols include the letters and the number 9, which will pay out up to 200 coins. 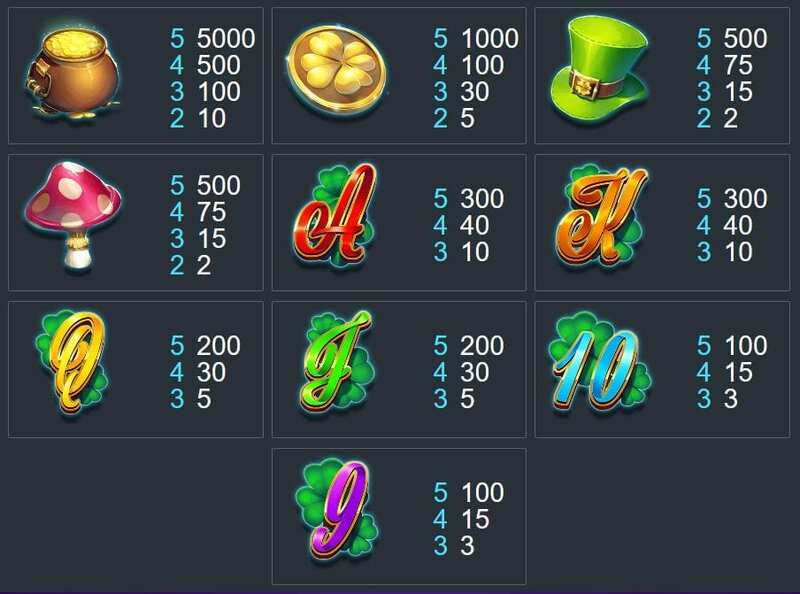 The higher paying symbols include the gold clover and the pot of gold, which will pay up to 5000 coins. · WILD – this is the winking female leprechaun who will replace all other symbols except the scatter. Three of her friendly face will grant 15 free games, whilst if she lands 5x in the game, you will gain 25 free games. · SCATTER – this is the four-leaf clover set against the rainbow. Bag three of these anywhere and you will activate the lucky reel feature. · FREE SPINS – keep an eye on the Leprechaun as if she appears anywhere on the reel 3,4 or 5 times, you will be given up to 20 free spins. This feature can be triggered up to 15 times. 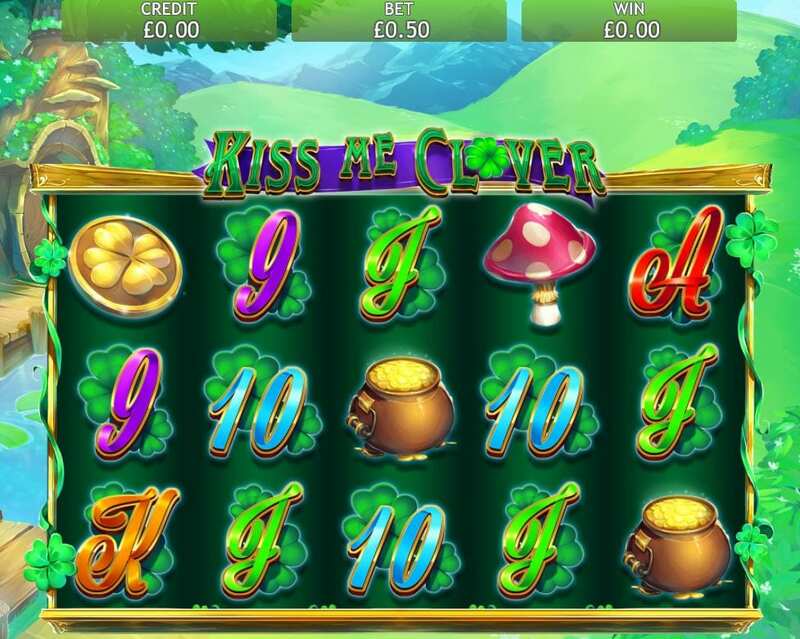 · LUCKY REEL – in this feature, for every scattered clover you have, you will gain a free spin and you can win up to 100x your bet. 3 of the clovers will award 3 picks, whilst 5 will award a decent 5. · GAMBLE BONUS – in this feature, you are presented with two choices. One will let you win double, the other nothing so choose carefully. · AUTOPLAY – sit back and let the luck find you when you opt for up to 100 autospins.